Relaxed yet sophisticated these trousers can be dressed up down. 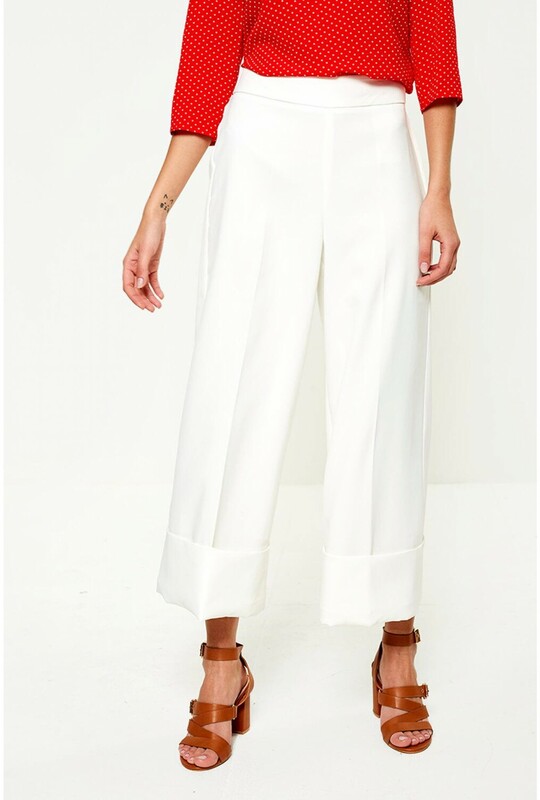 Featuring a culotte style, streamlined pleat detail and turn-up hem, team with the matching blazer for a smart tailored look or wear with a slogan t-shirt and trainers for a relaxed look. This new arrival is part of our AWARE collection, made from recycled fibres. Choosing environmentally friendly pieces can help protect the environment and encourage the development towards a more sustainable fashion future.